This is usually a big week for gaming, the first big week of the new year, and it's not letting us down this year. If you want mainstream with an impeccable pedigree, you can go with Bloodborne (please note, as the Wikipedia page clearly spells out, that Bloodborne is "Not to be confused with blood-borne disease."). This is new game from the From Software geniuses responsible for Dark Souls and Demon's Souls--beautifully designed, fluid action games with a high degree of very satisfying difficulty. The game was released today, and already has a 93 rating on Metacritic (41 reviews). That makes it (easily) the highest rated Playstation 4 game ever released. My only hesitation about picking this up is that I have lots of loose ends right now, and these games tend to be long and very consuming. Not sure I can do that right now. There are three other games this week, though, that I want to mention. First, the big one: Pillars of Eternity. It releases on Thursday, it's from Obsidian, and it looks very much like what I remember of Baldur's Gate (no surprise, since Obsidian made it, too). There aren't many old-school RPG's being made these days, so this is a welcome departure. Advance buzz is very, very positive. Everyone knows about Pillars of Eternity, though. Here are two more games releasing this week that I backed on Kickstarter, and they both look excellent. 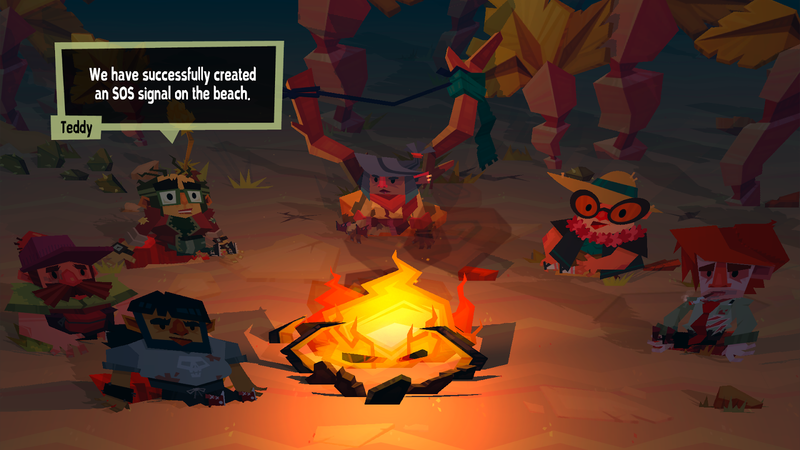 Dyscourse is an interactive choose-your-own adventure where you journey through a stylized world of choice and consequence. You play as Rita, an unfortunate art school grad turned barista, who is now stuck on a desert island with a crew of oddball travelers after a plane crash. That last choice you just made? It may end up being integral to your group’s survival, or it may lead you down a path to murder and cannibalism! That is very, very striking. Steam link: Dyscourse. The last game is Ironcast. RPS describes it as a "turn-based match-3 roguelite steampunk resource-management RPG". I've been waiting to have that done properly for a long time. There's a level of strategy in Ironcast far beyond the standard match-3 mechanic, and it also features permadeath. The RPS article describes it in more detail than I can, so hit that link and read all about it. Ironcast comes out on Thursday. I will definitely have impressions of Dyscourse and Ironcast, because they'll be exponentially more lightly covered than Bloodborne and Pillars of Eternity.